Our two daughters sure keep us on our toes when it comes to family adventures. The goal is to come out on top with a lovely photo album to post to social media that looks like everything was smooth sailing 24-7. Am I right? If you’re a parent – we both know that’s not always the case! 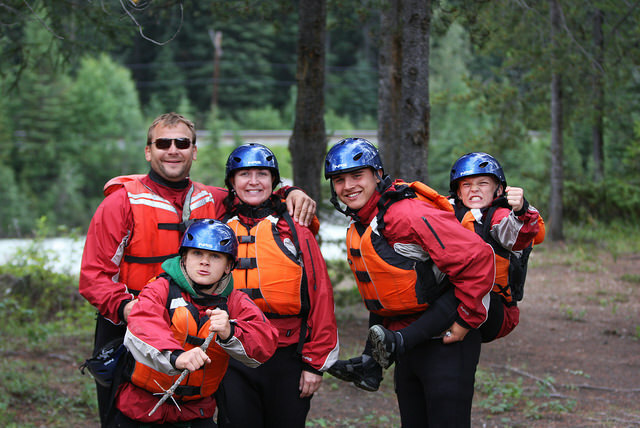 The obvious question many parents ask themselves before planning a family getaway is: “What will the kids do?” Here at Alpine Rafting we’d like to share with you the unexpected joys that will come from a river trip down the Kicking Horse River. They will Experience Wonder & Awe: The river environment is a fascinating place one filled with beauty and joy around every bend. One of the most important emotional foundations underlying the experience of optimum mental health is the capacity for experiencing wonder and awe. The whole experience is a cohesive reminder of the true priorities in life. Fresh air, sunshine and a family bonding activity like whitewater rafting are all you need. Let’s make sure we show our kids about these special places & foster their curiosity for all things wild. They won’t have any screen time: Smartphones aside, instead of zoning out to video games or binge watching Netflix all day, your kids will be glued to the most amazing scenery they’ve ever seen in their lives. Instead of getting their entertainment fix from screens, they’ll get it from thrilling whitewater, fresh air, and seeing what’s around the next bend. This is how most of us parents spent our childhoods – screen free – and I’d like to think we all turned out pretty ok! We really think these kind of bonding moments are priceless building blocks for the foundation of the future health of your family. It may seem like a daunting task planning a family adventure, but we do think it’s worth it! They may gain a newfound passion: Geography, Geology, Hydrology, Weather, Natural History. All of these things are right in front of you in your as we travel down the river together. It’s the way learning should be—hands on & filled with fun under the blue sky. Nothing feeling forced, everything just flowing like the river through all its twists and turns, a lesson learned at every bend. Maybe a day on the river won’t solve your next algebra problem, but let’s face it, these kids are about to take the reigns of a wild world and we need a generation prepared for that. So cinch that life jacket and let’s go learn a thing or two in the greatest classroom of all – the great outdoors. Whether they are already learning about these things in school or not, real world practical, and hands on experiences are what they are really going to remember. You may be surprised how a newfound passion is sparked while on a river trip. For example, the river has brought our children a keen interest in rocks of all kinds. They won’t say “I’m Bored”: If we had a dollar for every time we heard that! Just like our daughters who first wondered how the river could be a source of entertainment, your kids will find plenty to do. Simple things, like skipping rocks and feeling the glacial waters spray on their face. On the river, challenges and activities are around every corner; during swift water, there are rapids to scout, and during flat, calm stretches, there is no shortage of epic scenery to marvel at! So what will your kids do? They’ll challenge themselves, try new things, explore a new place, gain a connection with nature, and possibly gain a newfound passion. 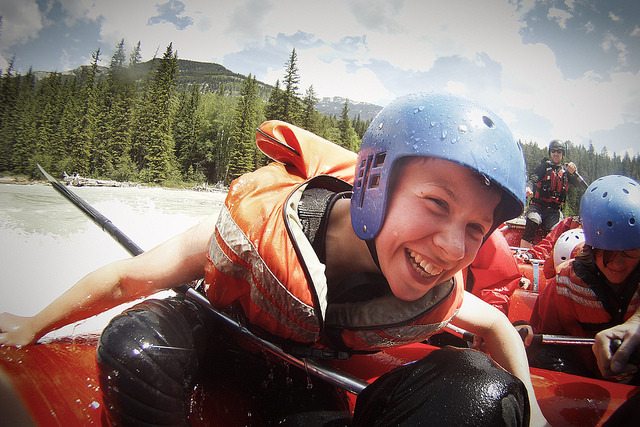 Alpine Rafting and the Kicking Horse River have a Rafting Trips for all Ages: from Toddlers to Teens. Get out and experience the great outdoors! Alpine Rafting offers guided trips on wild, untamed rivers beautifully paired with the best scenery on earth. One-of-a-kind adventures honed over the last three and a half decades, Alpine Rafting is a premiere destination for Whitewater Rafting, Gentle Family Rafting & Stand Up Paddle boarding in the Canadian Rockies. Adventures beckon for all.